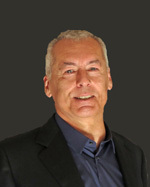 Michael Berger is the Founder of Nanowerk LLC and since 2005, editor of the company's popular nanotechnology website nanowerk.com. His goal with Nanowerk is to educate, inform and inspire about nanosciences, nanotechnologies and other emerging technologies. Michael received master degrees from New York University and Ludwig-Maximilians-Universität München. He has lived and worked in Munich, New York, London, Hong Kong, Honolulu and Berlin. He is an Advisory Board member at InterNano, a project of the National Nanomanufacturing Network. Check out his full professional profile and connect with him on LinkedIn. Michael is author of two books by the Royal Society of Chemistry: Nano-Society: Pushing the Boundaries of Technology (RSC Nanoscience & Nanotechnology) and Nanotechnology: The Future is Tiny . Contact Michael at [email protected].